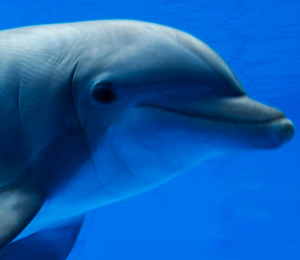 The Pacific Bottlenose Dolphins are native to the waters off the coast of Cabo San Lucas. During your next trip to Los Cabos, don't miss the exciting, interactive experience with these majestic creatures. 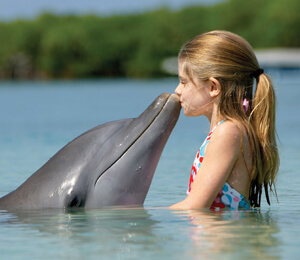 It is said that the beautiful dolphin has always gotten along well with humans. In times of trouble, dolphins have come through, guiding humans to safety and offering them comfort during their time of need. 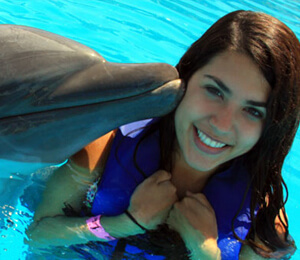 You will get to see just how personable and friendly the dolphins really are the next time you are in Cabo San Lucas. 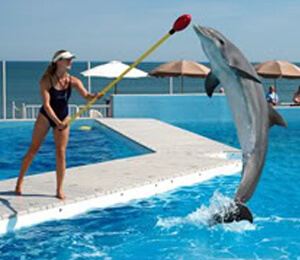 The Cabo Dolphin Center is just one of the facilities in this region that provides personal contact and interaction with dolphins. 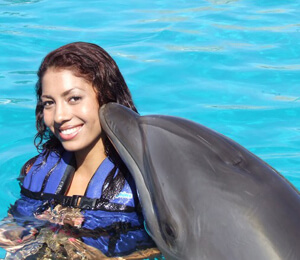 At the Cabo Dolphin Center, several different tours are available including, swim with the dolphins, dolphin encounters, trainer for a day, and our dolphin kids program. Go on a one-of-a-kind swimming adventure with dolphins. When you travel to Cabo San Lucas, Mexico, you can hug, kiss, pet, play and interact with a majestic, Pacific Bottlenose dolphin. You di not want to miss this tour during your next trip to Cabo San Lucas.